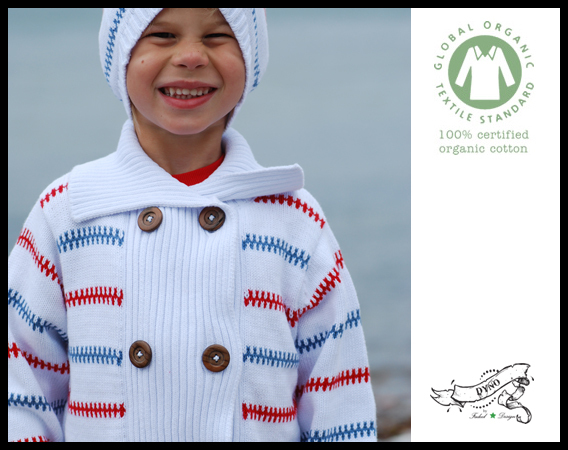 The popular sweater DYNO Gotlandströjan whit the red and blue stripes are a part of our sortiment. Now, we will present some exciting news at this year´s Formex. It is a beautiful cardigan with wooden buttons. As with the sweater it made for both children and adults. 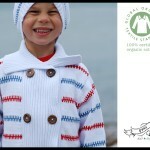 Besides the cardigan, we will also expand with a long scarf, “fake polo” for children and a nice hat. “Our Gotlandströja has been a success and I believe strongly in our new items” says Eva Fadeel designer at Fadeel Design.